Photograph depicts the Simpsons-Sears Ltd. store in Burnaby. 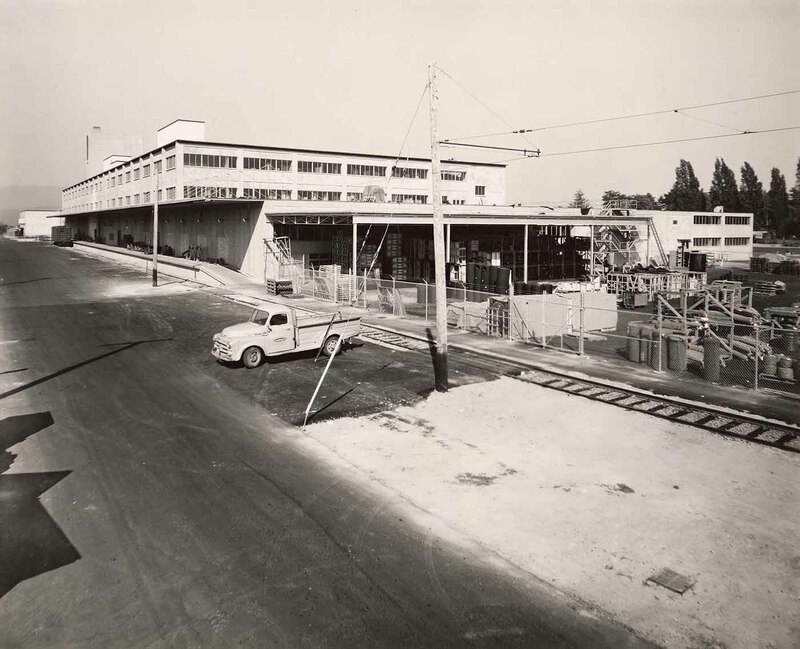 Partially paved lane with truck and telephone post in foreground of image; chain-link fence around four story concrete building in middle of image; construction supplies stacked against fence. This photograph is associated with Gardiner & Thornton-Sharp, architects; Thompson, Berwick, Pratt, architects; and Commonwealth Construction Co. Ltd., general contractors.